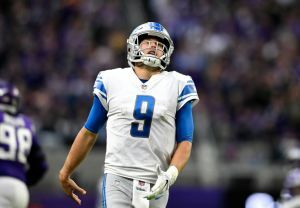 The Detroit Lions were at a disadvantage, playing in a deafening stadium against a daunting Minnesota defense that’s rounding into form at midseason. 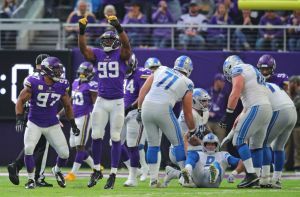 Danielle Hunter had 3 1/2 of Minnesota’s franchise-record 10 sacks plus a fourth-quarter fumble return for a touchdown , making for a miserable afternoon for Stafford and the Lions in a 24-9 victory by the Vikings on Sunday. 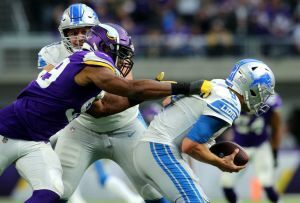 The previous high sack total of Stafford’s 10-year career was seven, against the Vikings in 2015. 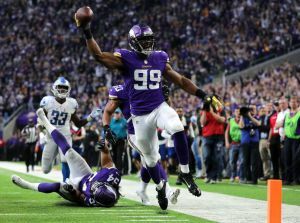 He has been sacked five times or more on 15 different occasions, six of those by the Vikings. 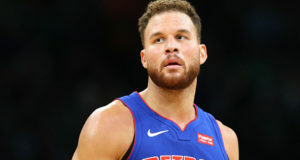 The Lions are 3-12 in those games. 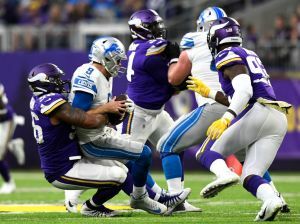 The Vikings effectively mixed in blitzes to keep the Lions off balance, but nine of the 10 sacks were registered by their defensive linemen. 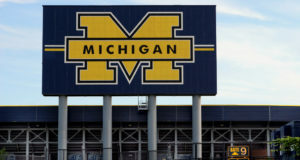 Three of them came inside Minnesota’s 20, over two different possessions that ended with a field goal by Matt Prater.